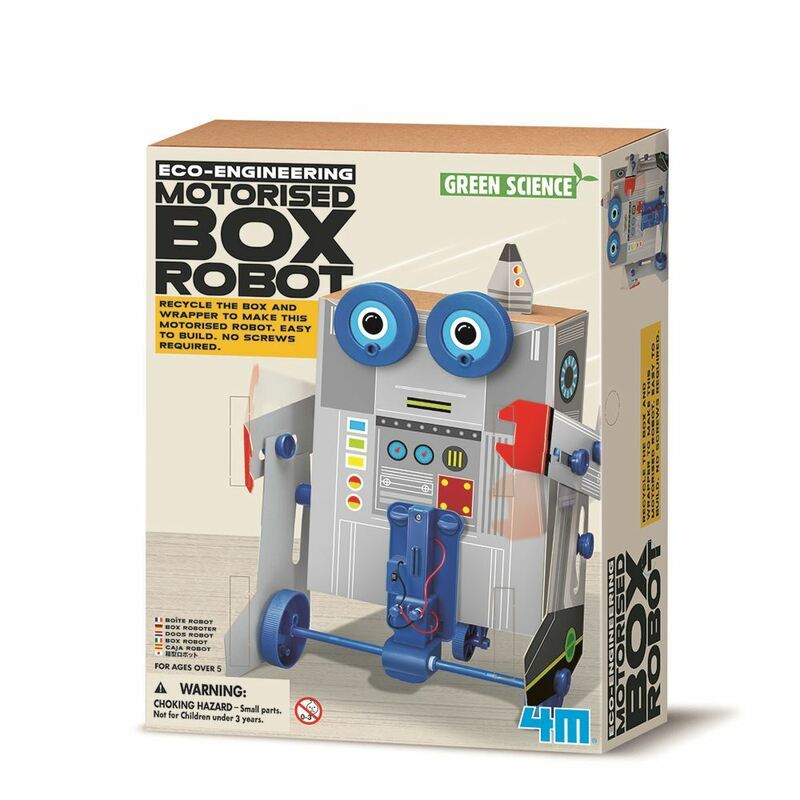 Turn empty boxes into clever eco engineering with the 4M Motorised Box Robot! Make the box walk, hop, stomp and drive away. Recycle the packaging to make this walking robot. Age 5+ years. Part of the Eco-Engineering range. Distributed in New Zealand by Holdson.